On Thursday I noticed a book on the new book shelf at the library that I just had to check out and take home. I knew that this book was being written, but had not yet heard that it was available. 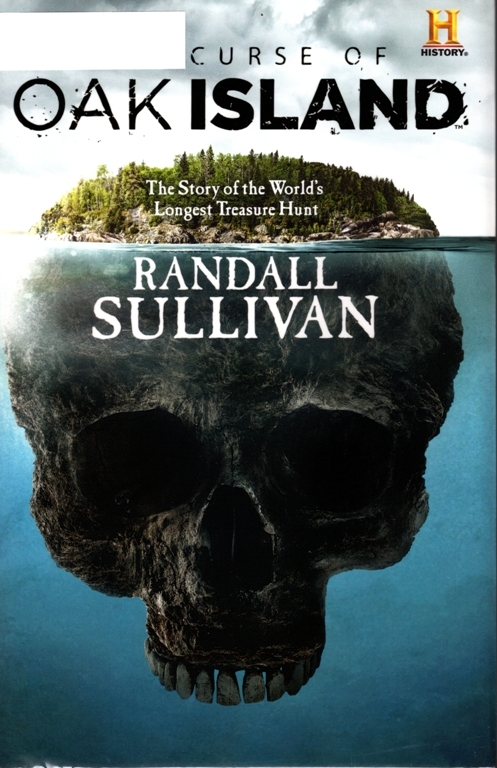 The Curse of Oak Island: The Story of the Worlds’s Longest Treasure Hunt by Randall Sullivan is about the history of the Money Pit on Oak Island. 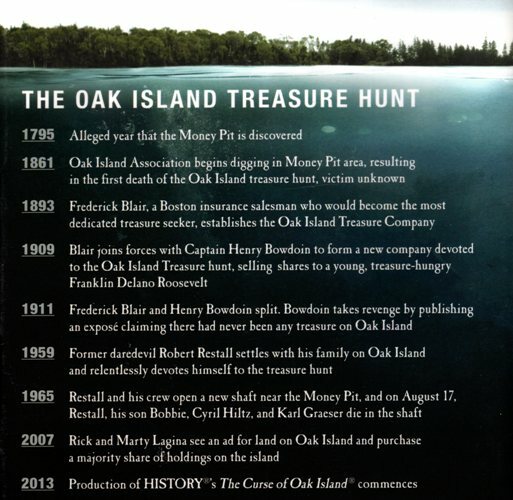 I have known about the treasure hunt at Oak Island since I was just a young boy. Just like the Lagina brothers who are currently heading up the treasure hunt I first learned about it by reading an old Reader’s Digest from 1965. My grandparents had a lot of old issues and I am sure that is probably where I ran across it. 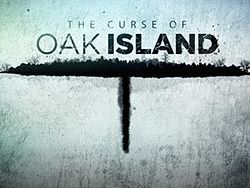 The Curse of Oak Island is now a very popular show on The History Channel, and I have been watching it since it started. I remember the episodes where Randall Sullivan was on the show, so knew that he was writing a book about the history of Oak Island. This is a wonderful book and it really gives you a background of what has happened. Now as they talk about previous searcher tunnels I have a much better idea of what is going on. The book is well researched and is full of details. I am not quite done with the book, but have read past the start of the show. Unfortunately, I have had a lot of time to read as I have had a fever for the last 24+ hours and haven’t felt like doing much. Hopefully I will be better tomorrow. I am really looking forward to the next episode on Tuesday night as the previews hint that they may have a few major finds. This entry was posted in Canada, Culture, History and tagged History Channel, Lagina, Money Pit, Randall Sullivan, The Curse of Oak Island, Treasure. Bookmark the permalink.